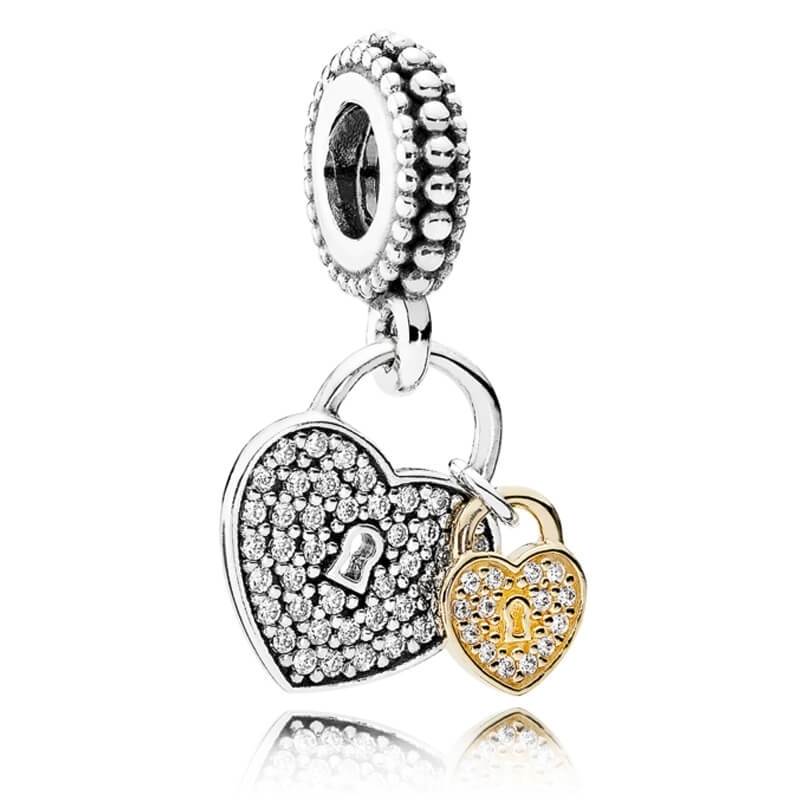 PANDORA Love Locks Pendant Charm. Sterling silver and 14ct gold pendant charm. Presented in official PANDORA packaging including gift bag.